Many of us have been to a party or event that was less than what we expected. The food was bad, the people were boring, etc, etc. Our latest event was anything but that. 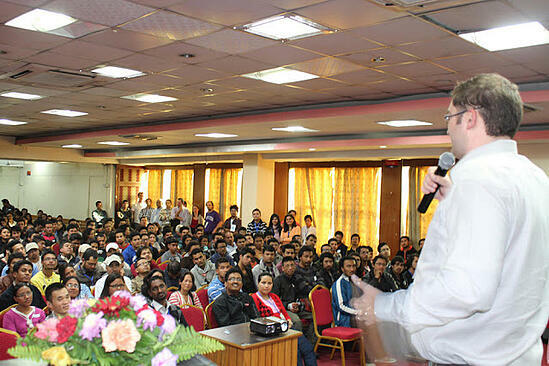 November 9th CloudFactory invited its workforce to an Open House event at the World Trade Center in downtown Kathmandu and the seats were filled. In fact we ran out of seats to fill and brought in more seats, and filled those too. 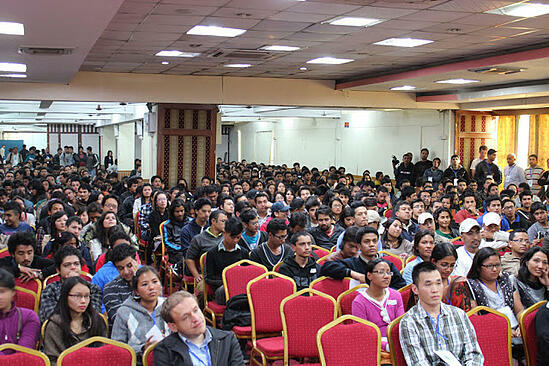 When it was all said and done there were over 700 people that came out to learn what CloudFactory is doing here in Nepal. As demand for reliable and scalable data entry work increases, so too grows the demand for the crowd of people that can deliver those services. We are very excited that we get to hire over 500 people by the end of this year and over 2,000 people by the end of April. The Open House event was an opportunity to spend time with the incredible workers that we are employing now and meet some of their family and friends who are interested in joining us. How did we pull off an event of this size and attract such a crowd in short period of time? The secret lies in our workers. A super committee of Cloudworkers and a small army of volunteer Cloudworkers were inviting friends, directing traffic within the convention center, and staffing the registration tables. Cloudworkers are not only capable of doing excellent data entry but they have proven that they can recruit other workers, plan large events, and demonstrate the leadership that is needed to make the world a better place. If you haven’t noticed we are proud of our workers. We believe that our current and future workers may be the greatest game changers the developing world has ever seen. Stay tuned as we seek to raise up 1 million community leaders that do excellent data entry work along the way. 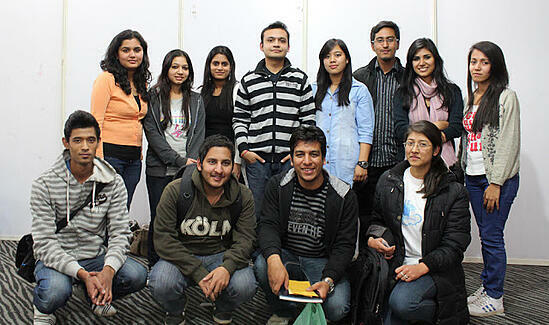 For more photos, visit CloudFactory Page on Facebook.